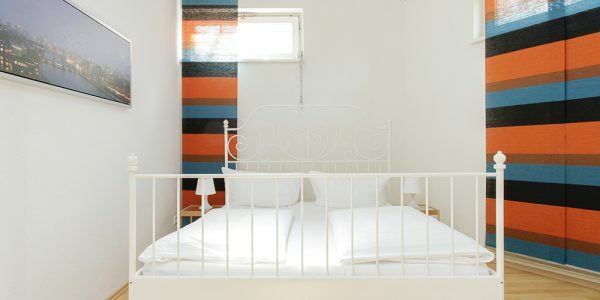 The former bakery with its arched ceilings offers plenty of room for 6 people and is therefore ideal for families with kids and travel groups. 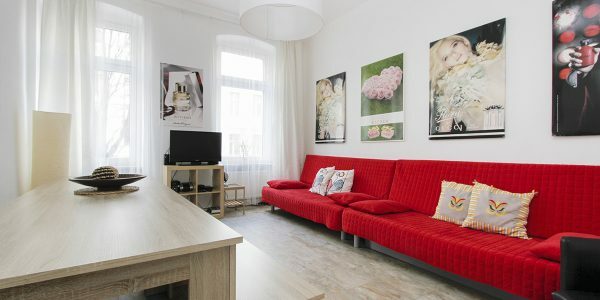 The garden apartment in a quite and separated courtyard has a green area with playground that can be explored worry free by our younger guests. 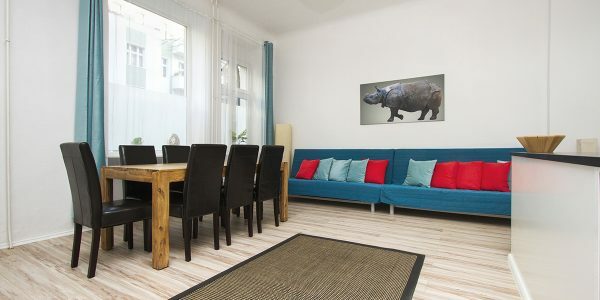 The open and spacious living area with open kitchen offers two comfortable pull out couches for two people each, large dining table, fully equipped kitchen, a sofa, flat screen TV, DVD, plenty of books, and stereo system. 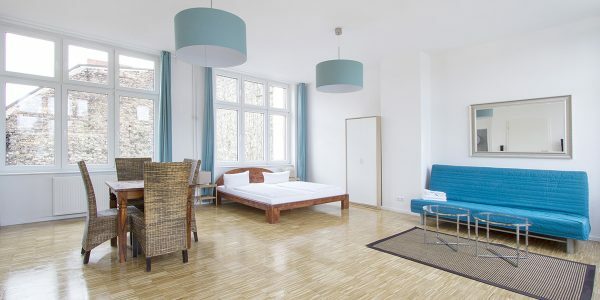 The hallway leads to a bathroom with shower, and two separate bedrooms with a full size and a queen size bed. 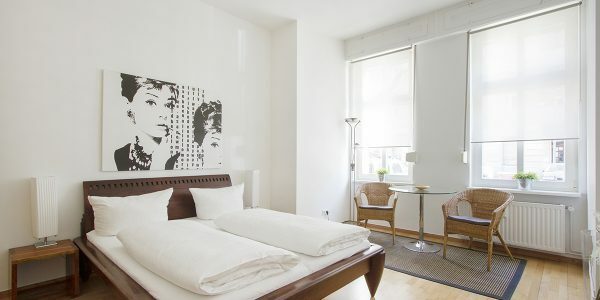 The apartment has wifi and is always professionally cleaned with fresh sheets and towels. 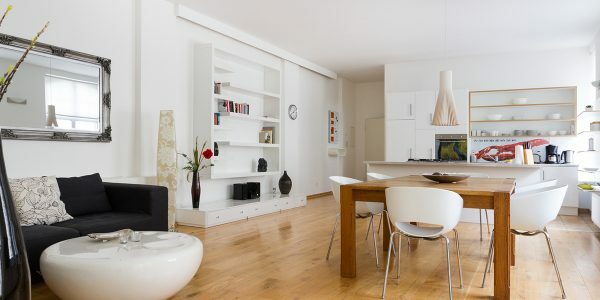 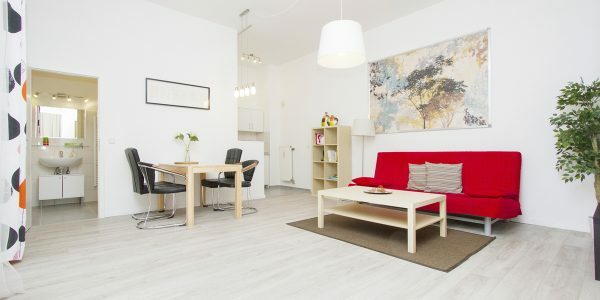 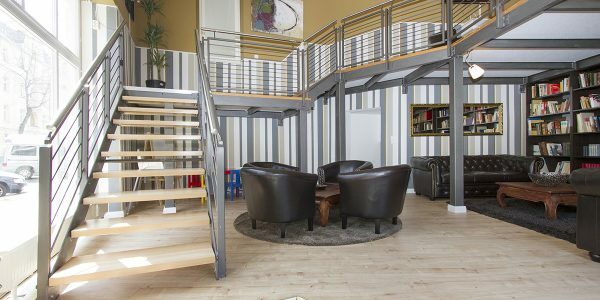 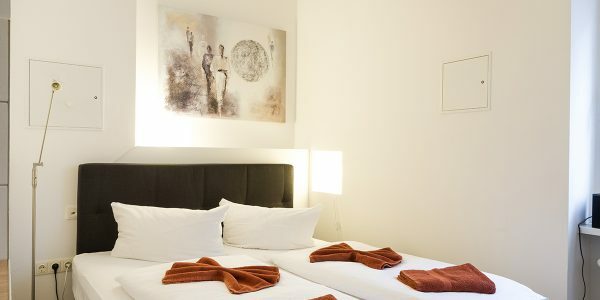 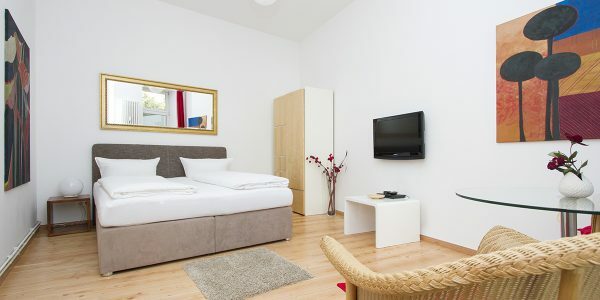 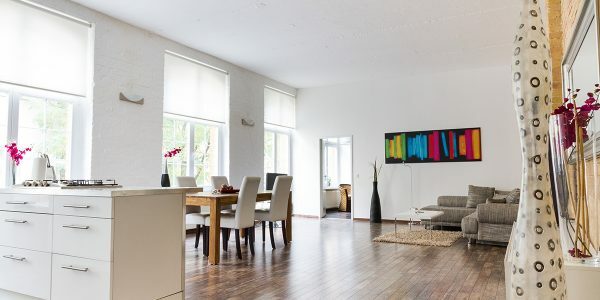 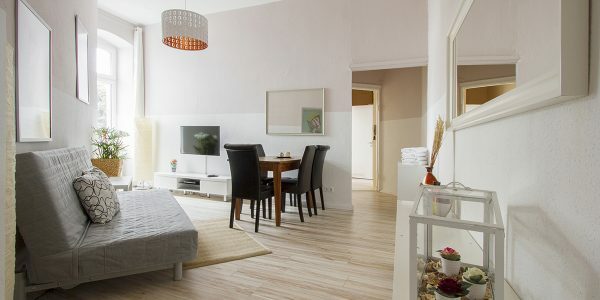 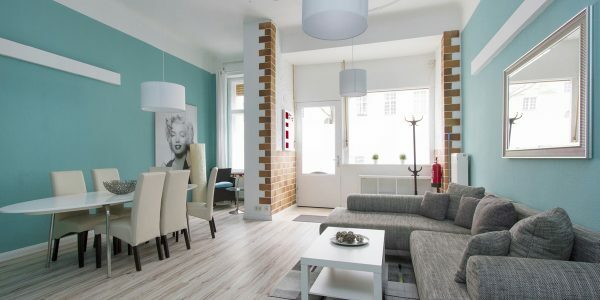 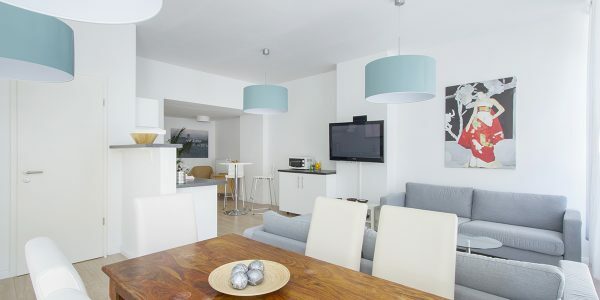 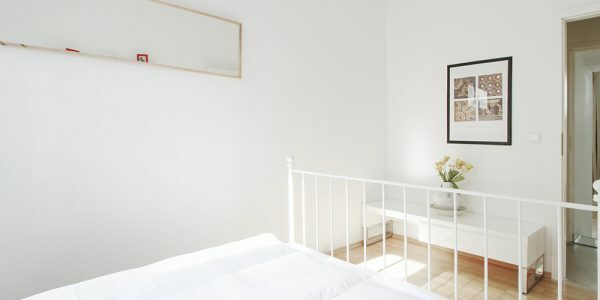 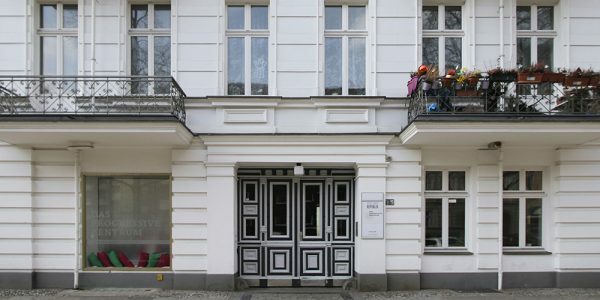 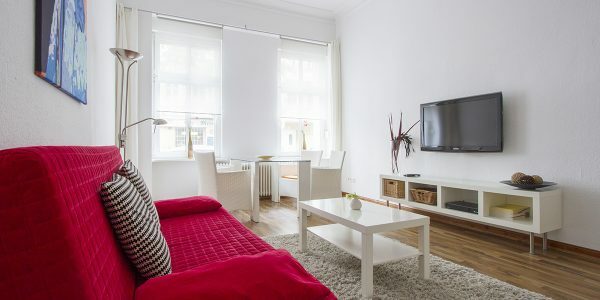 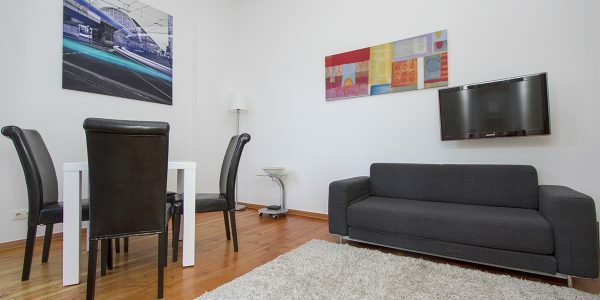 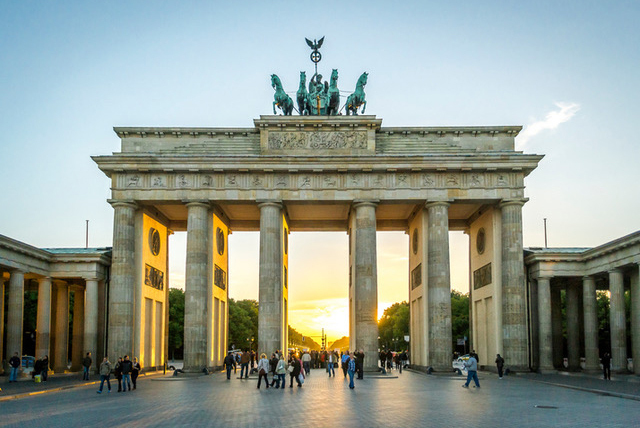 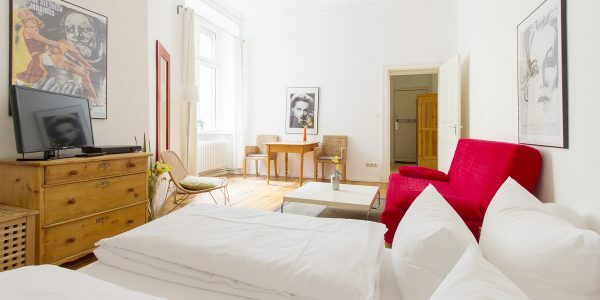 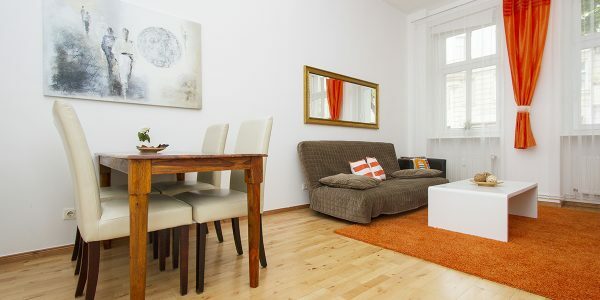 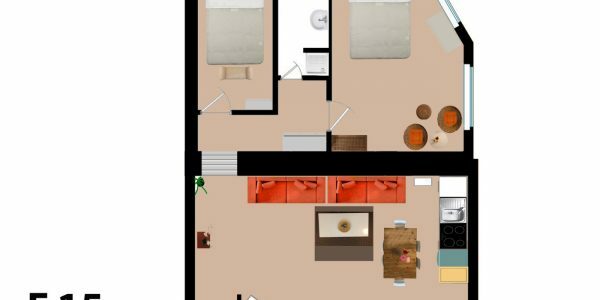 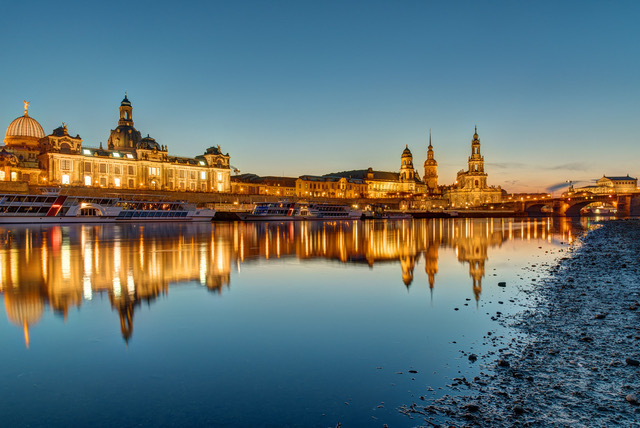 The apartment is situated directly in the center of Berlin and is just a short walk away from the central train station, Brandenburg Gate, and the government district. 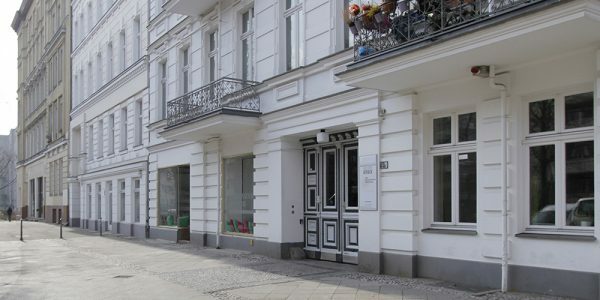 Werftstr. 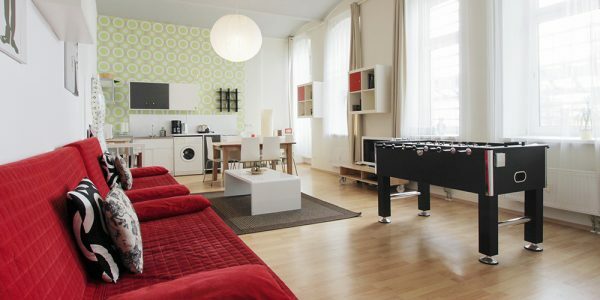 has the typical Berlin character. 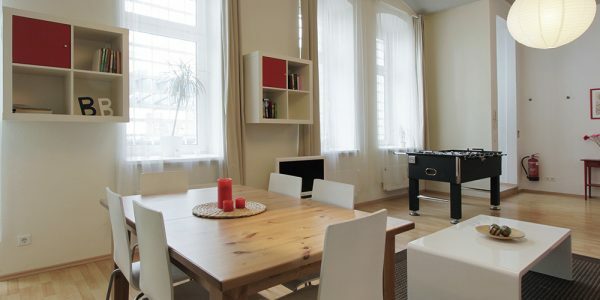 In its immediate vicinity are a variety of restaurants, bars, cafes, stores, bakeries and everything needed for a comfortable stay. 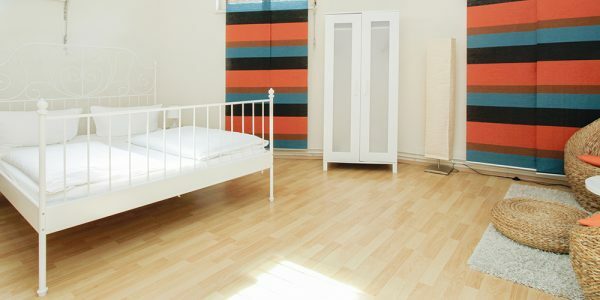 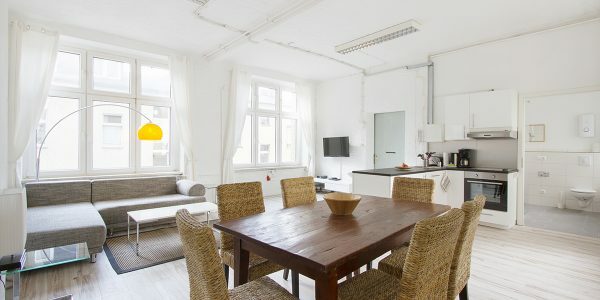 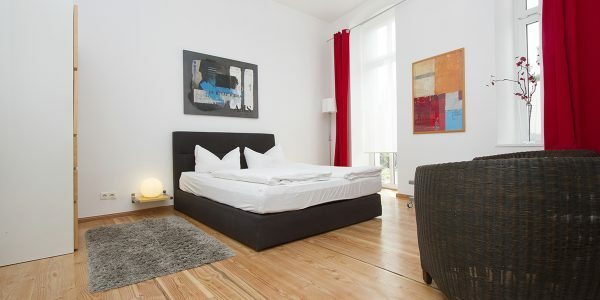 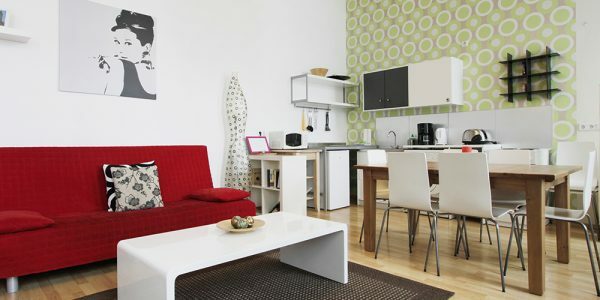 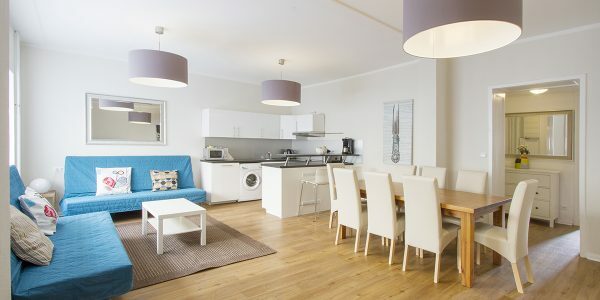 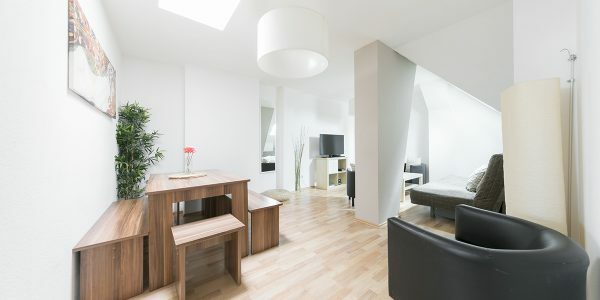 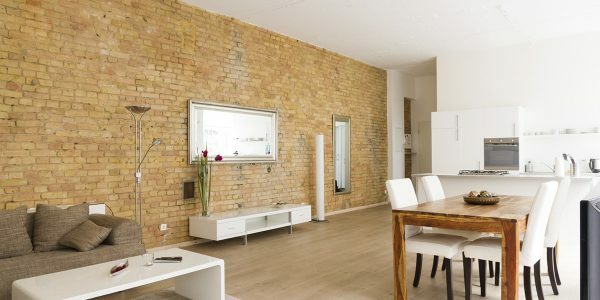 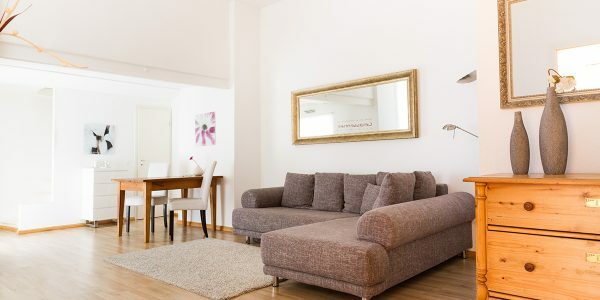 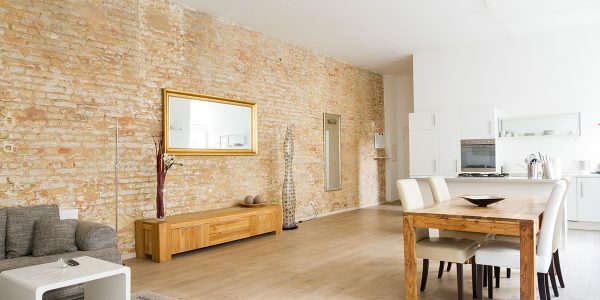 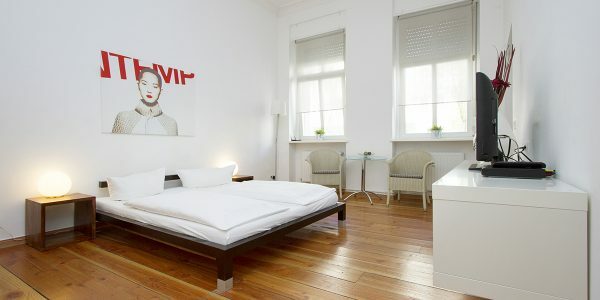 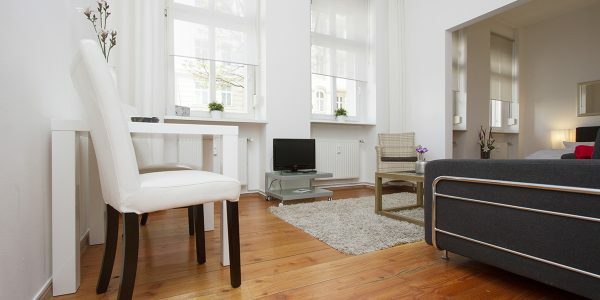 The apartment is just a short walk away from Berlin main train station and to the subway stop Turmstr. 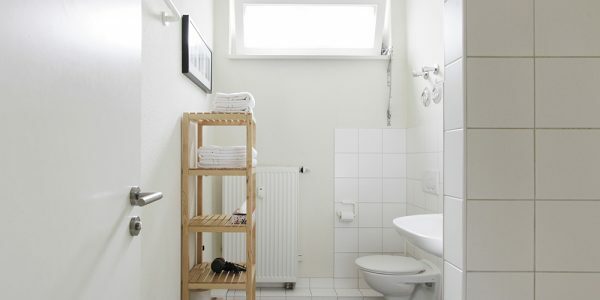 (line U6).